Today, Businesses have so many ways to market themselves. But if you are talking about small businesses then deciding a perfect marketing method can be difficult. If you are opting for TV or print media then that can be over budget and will not suit your pockets and if you are thinking about social media marketing or blogging then that could be time-consuming. So what will be the perfect option for small businesses? Well, one of the fastest and cheapest methods to reach your consumers nowadays is Internet. Online marketing also known as digital marketing can replace the other options mentioned above. Many of small business owners do Internet marketing on their own but you can hire some internet marketing services to help you out. These services come with a high expertise and strategies to the accomplishment of goals. Do you have a website that provides each and every information about your business that customers want to know? Are you using the same language that your target customers uses? Are you providing your customers with enough support that they can reach you? Let’s walk through to the preliminary steps to set online marketing for small businesses. For a small business, there are so many options available in digital marketing. 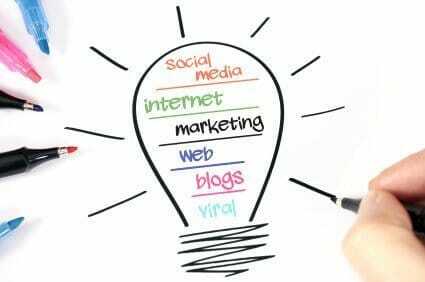 The most famous of them are search engine optimization, email marketing, Facebook advertising, social media marketing, content marketing and press releases. The target point is to research in all these channels and find out the most profitable channel among them. Doing this you will be able to dedicate spending amount to all of them. If you target all the above channels then probably you will be lost somewhere, Internet is so vast!! The target is to find the best of the channels which allow you to reach more customers and so your effort can be focused on that one only. Search engine optimization is a key point to get yourself on search engines. The aim of search engine optimization is to get your website on top rankings in search results. Search engine optimization is literally an “Art” of getting on the first page of Google when any person searches your businesses. It’s a fight to become in top rankings because most of the users never head towards the second page of the results on Google. This simply means if you are on not on the first page then you are nowhere. The profit of SEO is that you will get lots of customers along with high traffic on your websites. SEO is one of the best investment for any small business owner towards online marketing. You can hire some SEO company for your business and can expose yourself on Google. PPC (pay per click) is a type of advertisement on the internet which pays only when any person clicks on the ad. GoogleAdWords is the most popular PPC option on the internet. In this, many businesses bid on keywords and if their bid on that keyword is highest then their ad will pop up to every customer who search those keywords. PPC ads are so cost efficient for your business which can gain you a huge number of customers within a minute when your ads go live. There are a number of online firms which offers automatic keywords bidding that can help a lot to small businesses. Social media marketing includes mainly social platforms like Facebook, Twitter, LinkedIn, Google+ and Pinterest to get customers for business. This is a different type of online marketing which allows businesses to directly communicate with their customers. It is the place where small businesses can create their loyalty and brand name. The best part is that it can be done on a very less or no cost. Because it only consults with creating your profile pages and then produce contents to those pages. You can create Pinterest and Instagram accounts if your business is about high visual products like fashion, food business. The only thing you have to do is to regular post images of products and services of your business on these profiles and you can gather a huge following and make a brand of yourselves. Another best platform is Facebook. It is most important and valuable marketing tool nowadays and especially for small businesses. Millions of people live on Facebook and you can take a huge advantage of this. Just make a fan page of your business and make it a brand by posting and advertising on Facebook. An online version of mail is Email, email marketing is the best tool to communicate with potential and current customers. For small businesses, there are several tactics for emailing their customers like promoting their very new product, giving them some offer, take feedback, send coupons or company info. A small investment in email marketing can return you a huge number of returning customers. The best part is that you are certain about this online marketing tool rather than others like SEO because you have more control over it. To apply email marketing for your business you don’t have to know new tactics as you do in SEO and Ad words. This is an easy thing can be done by a simple businessman. Everything in online marketing is ‘Content’. Even if Google delivers traffic to your site then the reason is uniqueness and quality of your content. Most of the people believe on contents rather than ads of your business. Contents are everything that is posted on your blogs, Social media channels, company descriptions and news and offers. With a well content marketing strategy, you are giving your business a new identity. Just having a lot of perfectly written articles on your blog and websites about your products and services can attract a huge number of customers to your business. By content marketing, you can target to new users to your business and can use those new users to make your business a BRAND. Online Marketing is such a wider term and one can get confused about how to start. Believe me even business with a one-person team can easily do all this if he attempts them one by one. All you have to do is to find out what makes you and your business different and take that point as the advantage of the above-mentioned tools. Priorities on the above-mentioned tools can be different for different businesses. It’s all up to you to find and research the best tactics to get a higher number of customers.